Global Connect is a local fully licensed tour operator. The company is specialized in personalized services and tours for small and large groups. We have vacation and tour packages that you won’t get anywhere else. We are here for you 24/7 and take care of you. Our team will help you to gain a deeper understanding of each destination, its history and culture, through enriching experiences. We can find out everything you need to know. We plan your vacation at no extra cost. We match the right vacation to each customer. Welcome to Uzbekistan - the Heart of Central Asia. 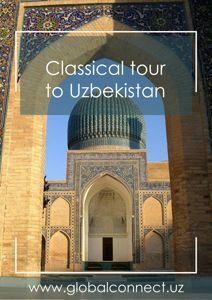 Discover the history and heritage of Uzbekistan. 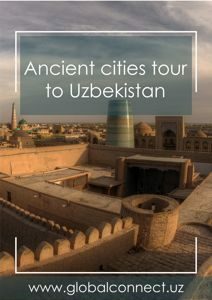 Visit the oldest inhabited cities in Central Asia - Samarkand, Bukhara, Khiva and Tashkent. Explore local culture and traditions and enjoy the hospitality of Uzbekistan people. 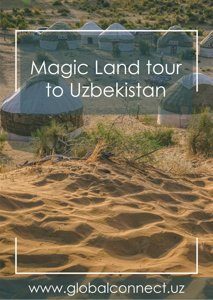 Tour Operator GLOBAL CONNECT offers Private and Group Tours to Uzbekistan’s most interesting destinations and attractions. We offer a wide range of private and group tours for individuals and groups and we adjust the itinerary to your interest, ideas and time frame. Private guiding is available in all major languages. 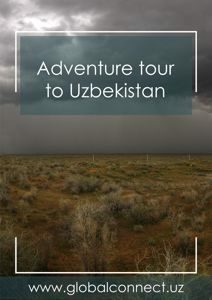 We are able to create a special custom Uzbekistan tour according to your own wishes and preferences. 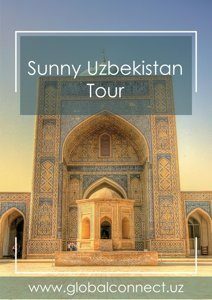 Let us know your wishes and assist you for personalized tours in Uzbekistan. 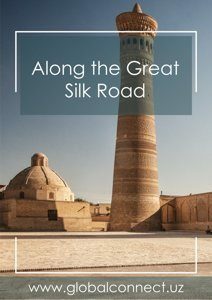 GLOBAL CONNECT team has over 10 years of experience in touring Uzbekistan. 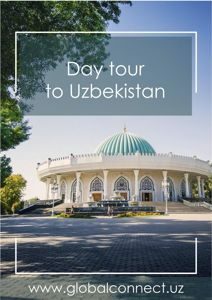 We have a strong experience in organizing an exclusive Uzbekistan custom tours depending on the individual preferences & budget. 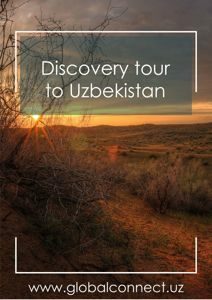 Whatever may be your Uzbekistan trip budget, we arrange the tours to enable you to visit and experience the maximum number of unique, natural and cultural sights of Uzbekistan. Tour Operator GLOBAL CONNECT offers best deals, money-saving offers and discounts for electronic tickets of high-speed trains "Afrosiyob" and express trains "Sharq" and "Registon". All the mentioned trains run maximum twice a day. To enjoy your travel we highly recommend that you purchase your electronic train tickets as early as possible. General information about Uzbekistan: State Flag, State Emblem, State Anthem, area, population, language and more. Uzbek Culture is one of the brightest and original cultures of the East. It is famous with it's incomparable national music, dances and painting, art and literature, unique national kitchen and clothes. 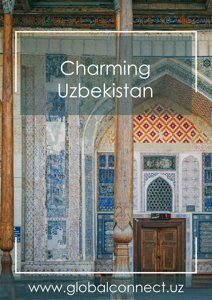 Get information about Ceramic and Fine Art in Uzbekistan, Uzbek Music and Literature, Famous Uzbek Dance and more interesting articles about Culture of Uzbek people here. Holidays in Uzbekistan: Read about Uzbekistan public holidays here. 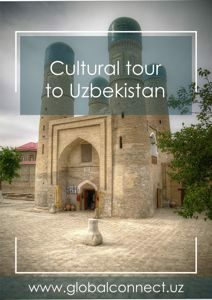 Uzbekistan Sights, Museums, Craft Centers and Art Galleries: There are plenty of amazing tourist attractions in Uzbekistan. 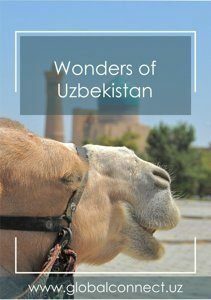 Check most recommended places to visit in Uzbekistan here. What time is the best to travel? The best time to visit Uzbekistan is generally in spring (April-May) or autumn (September-October). 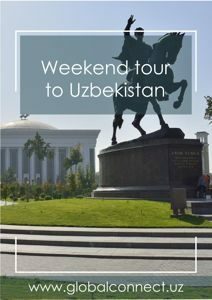 Do I need a Visa to Uzbekistan? 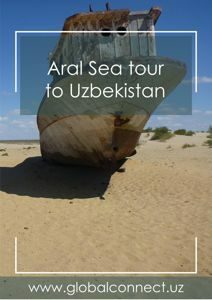 All foreign nationals are required to obtain an entry visa to Uzbekistan (Citizens of Armenia, Azerbaijan, Belarus, Georgia, Kazakhstan, Kyrgyzstan (up to 60 days), Moldova, Russia and Ukraine don't need a visa to enter the Republic of Uzbekistan). Foreign nationals should have a visa support to obtain tourist visa to Uzbekistan. What is the letter of invitation (LOI) to Uzbekistan? A Letter of Invitation (LOI or Visa Support Letter) to Uzbekistan is a written document in support of a tourist seeking a visa to enter Uzbekistan. LOI for tourists visas are issued by Uzbekistan Tour Operator GLOBAL CONNECT LLC and approved by the Ministry of Foreign Affairs. Uzbekistan Tour Operator GLOBAL CONNECT LLC submits a visa application to the Ministry of Foreign Affairs. Ministry reviews the application, reserving the right to deny any application without providing explanations. Approved visa support is telexed directly to the Embassy or Consulate in the country where you intend to obtain your visa. For more information about the letter of invitation (LOI) to Uzbekistan click here. Can I obtain visa on arrival at Tashkent International Airport? There is no Uzbekistan Embassy or Consulate in the country, where you are originating your flight to Uzbekistan. 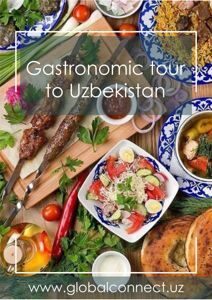 Can I extend my tourist visa in Uzbekistan? 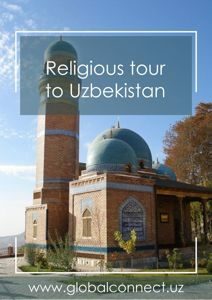 Yes, you can extend your tourist visa when you are in Uzbekistan. Extension of stay is up to 7 days. By extending your visa you will be issued an EXIT VISA sticker into your passport. What is the distance between the main cities in Uzbekistan? In some place in Tashkent it is possible to pay by credit cards. Master Card and Visa are accepted. Currency exchange offices of the country provide exchange operations of sums to dollars before departing from Uzbekistan, on conditions that tourist preserve a document, given by bank, which indicated primary currency exchange of dollars to sums (or any other currency). However, it is worth considering that exchange offices may not have the currency you need. What mobile operators are working in Uzbekistan? For information about mobile operators in Uzbekistan click here. For information about phone codes and city codes click here. Uzbekistan Time zone: Find the difference in time between Uzbekistan and counties around the world here.